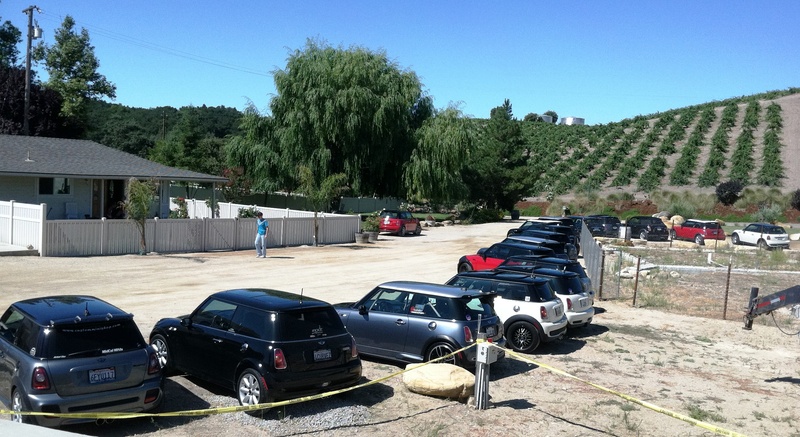 Saturday August 25th 8:00 a.m. sharp was the start of one of MidCal MINIs favorite runs; the Morro Bay / Paso Robles Run. This year like last, the group of MINIs (twelve) headed over to the coast by taking Highway 41 to the twisties on Highway 46. Also like last year, the band of Merry MINIs stopped for a very enjoyable lunch and afternoon at Rotta Winery (virtual tour). Rotta Winery, in Templeton California is located west of Hwy 101, just south of Hwy 46, at 250 Winery Road. 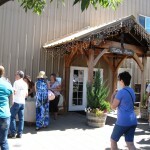 The event included a Winery Tour, wine tasting and a c atered box lunch for all participants. 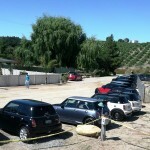 Upon arriving at the winery the MINIs were greeted by host and winery owner Mike Guibbini who led a tour of the operations. After a great afternoon, several of the MINIs headed over to Cambria, Morro Bay and other nearby locations for the night and to take in some local sites and events. 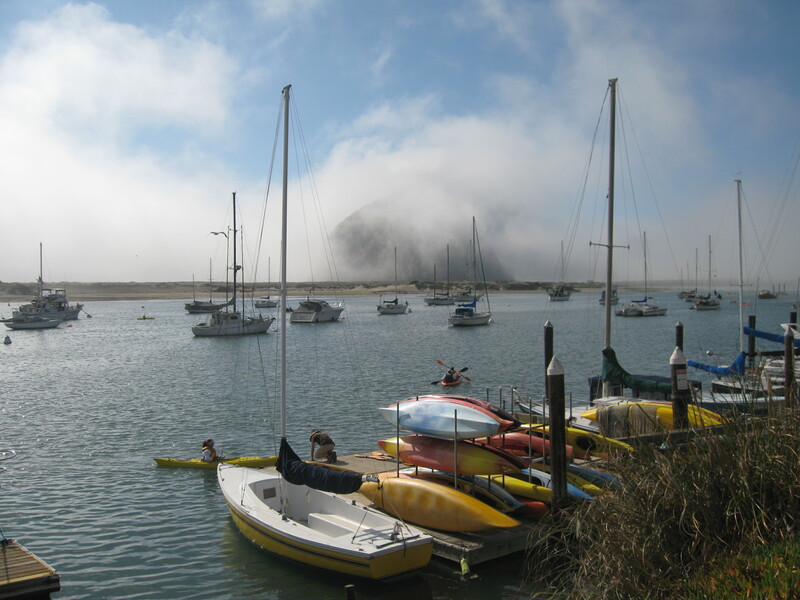 Morro Bay, a favorite of the MINI group, provided the much needed cooler weather for those from Fresno who had endured 21 consecutive days of temps over 100 degrees. 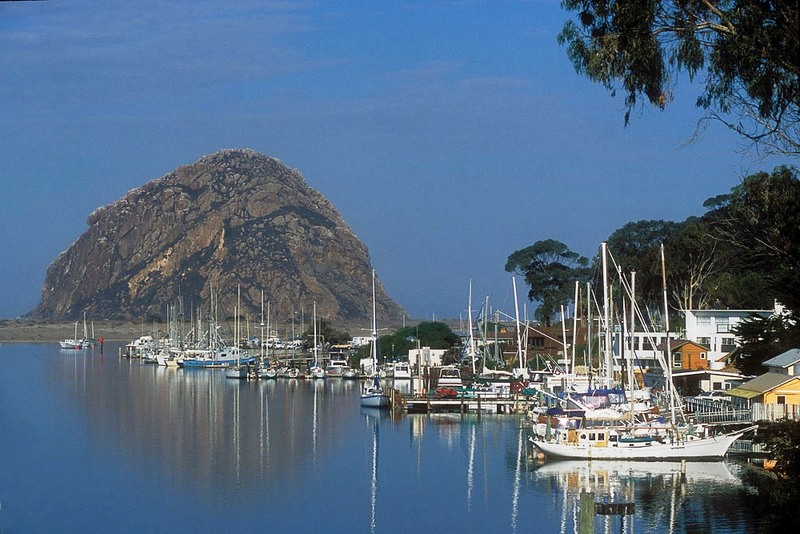 Now predominately a tourist town, Morro Bay was founded by Franklin Riley in 1870 as a port for the export of dairy and ranch products. 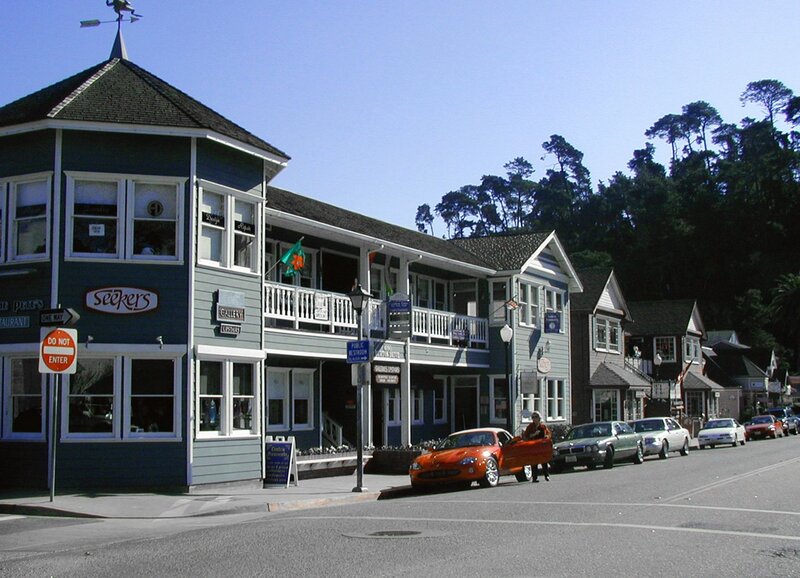 He was instrumental in the building of a wharf which has now become the Embarcadero. During the 1870s, schooners could often be seen at the Embarcadero picking up wool, potatoes, barley, and dairy products. Since the beginning of the 20th century, the town has been a center for beach holidays. Tourism is the city’s largest industry. 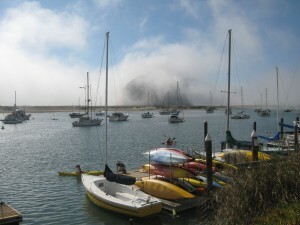 The most popular beach is on the north side of Morro Rock, north of the harbor. There are also excellent beaches north and south of the town which are now owned by the State of California. Another coastal area popular with folks living inland is Cambria. Early settlers were drawn to the area by its fertile lands, streams, and lumber. Additionally, miners were attracted to the area by the 1862 discovery of cinnabar, the mineral in which quicksilver is found. For awhile, Cambria was a boomtown, with $280,000 worth of quicksilver shipped out of San Simeon between 1867-70. 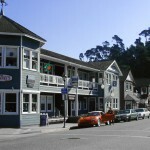 Originally an American settlement called Slab Town, it was centered at Leffingwell cove of today’s north Moonstone Beach, which also housed a wharf. As lumber, ranc hing and Quicksilver (mercury) mining increased in the area, the village adopted the more dignified name of Cambria, influence by a local transplant surveyor from Cambria County, Pennsylvania. Other notable locations in the town include the historical Old Santa Rosa Chapel which was built in 1870, and as one of the oldest churches in the county of San Luis Obispo, held Catholic mass until May 26, 1963. The church fell into neglect until 1978, when the chapel and cemetery were restored. The primary econ omic activity of Cambria is tourism. 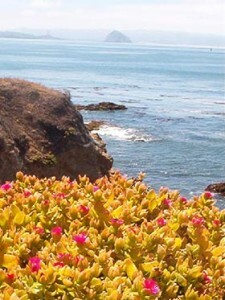 Located on the Pacific Ocean the area has rocky cliffs and beaches. 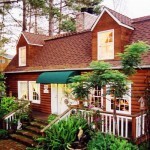 There are many hotels and bed & breakfasts, especially along Moonstone Beach Drive. 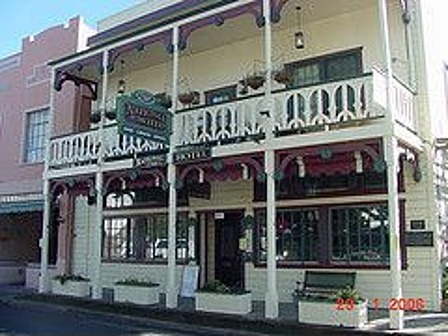 Cambria is home to the Cambria Historical Museum in the historic East Village and Hearst Castle is located approximately six miles north of Cambria with the Northern Elephant Seal rookery at Piedras Blancas just fifteen miles north. A favorite spot for visitors to Cambria is the J. Patrick House. 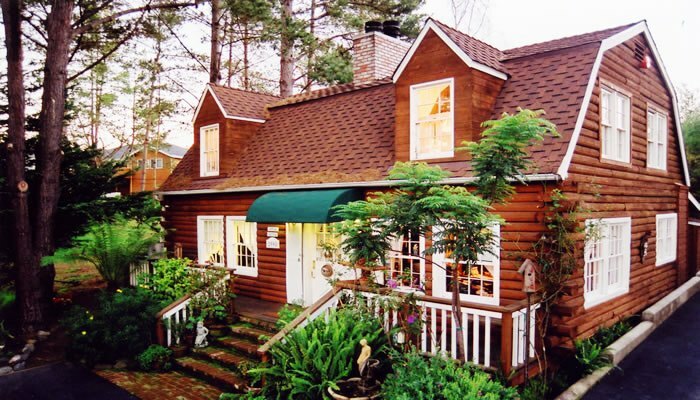 J. Patrick House Bed & Breakfast Inn is an authentic Early American-style log home decorated in country decor and features a garden tucked in the forest, and a charming carriage house with eight guest rooms with fireplaces and private baths offered. 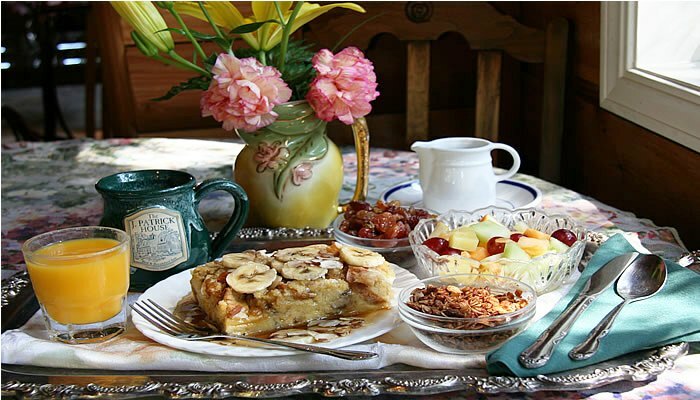 A full breakfast and evening wine and hors d’ouvres are included, and if you are lucky enough, you might even have the Stuffed French toast with Pure Maple syrup! Thank you Jon and Tina for another great MidCal Run and the much needed relief from the Valley heat. 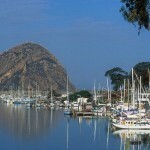 August and the Morro Bay / Paso Robles Run is almost here again. This annual event was made extra special last year when the group made a stop at the Rotta Winery for a most enjoyable and relax ing lunch. As usual, the MidCal group began the morning Run by heading over toward the coast to enjoy the twisties on Highway 46 on the way to Morro Bay. 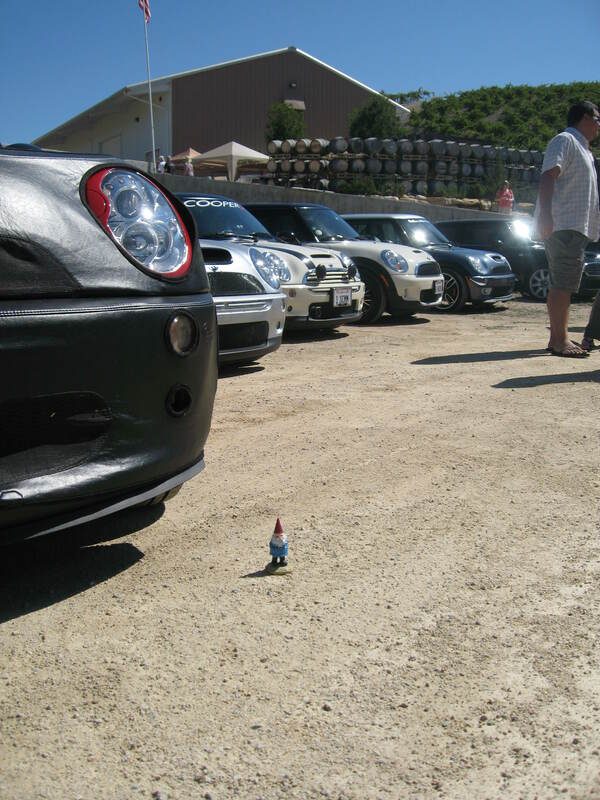 But rather than going all of the way to the coast, the MINIs stopped at the Rotta Winery in Templeton, California. The run was such a hit, not only is the group doing it again this year, but it is hoped to make this an annual event. Club member Jon Brothers set up this great event last year and is once again coordininating logistics for this year. Early RSVPs are required due to the comprehensive luncheon menu being offered. Your RSVP’s and your luncheon payment must be received no later than the the July 21st Club Meeting. RSVP’s will only be accepted by sending an email to mcm@midcalminis.org. If you are not able to attend the July 21st meeting, besure to send an early email to arrange for an alternative payment method. The event payment not only includes lunch, but also includes participation in the winery tour and wine tasting with no addit ional fee. Rotta Winery, in Templeton California, is located west of Hwy 101 just south of Hwy 46, at 250 Winery Road. 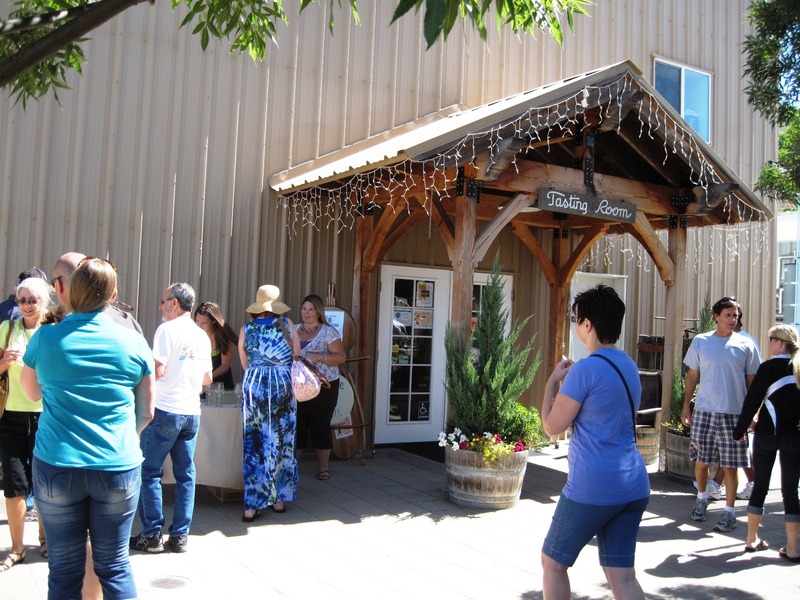 The winery, owned by Mike Guibbini, features a Winery Tour, wine tasting and a lunch for all participants. After a great afternoon at the winery, participants may either head back home or continue on to Morro Bay or other coastal communities to spend the night and to take in some local color and events. Rotta Winery, founded in 1908 by the Rotta Family, is the only remaining family owned “original” winery in San Luis Obispo County. Mike Giubbini, grandson to the Rotta Family and Mark Caporale of Napa, have combined their talents to “bring back to life” the historic and rustic winery. Today, Rotta Winery, just as in days of old, specializes in premium red and white wines along with flavorful and distinct dessert wines. Lunch #1. Herb-crusted, Black Monukka infused, roast chicken breast, green salad, bread and dessert. Lunch #2. Herb-crusted, baked pasta in a light cheese sauce, green salad, bread and dessert. Lunch #3. Southwest chicken salad w/ a yogurt, chile pepper vinaigrette, bread and dessert. Lunch #4. Meatball sandwich: A soft roll with Italian style stuffed meatballs, a little red sauce for dipping and cheese. Served with a green salad and dessert. Lunch #5. Oven Roasted Turkey Breast in a soft roll stuffed w/ lightly dressed greens, feta cheese, avocado, thin slice red onion, cucumber, tomato, pickles & banana peppers. Black Bean Salad & dessert. Lunch #6. Vegetable: A soft roll stuffed with lightly dressed greens, feta cheese, avocado, thin slice red onion, cucumber, tomato, pickles and banana peppers. Black Bean Salad and dessert. ***Green salads come with a creamy, Rotta Red Wine Vinaigrette and local fresh harvest vegetables. 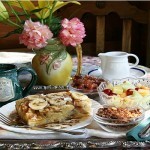 ***Desserts depend upon local harvest either Strawberry Shortcake, Meyers Lemon or Key Lime pie. Lunch 1-4 cost $20.00 per person. Lunch 5 & 6 cost $15.00 per person. RSVP by sending an email to mcm@midcalminis.org and do so no later than July 19th. You must confirm for each person attending along with the appropriate Lunch number for each person. Luncheon payment for each must be made no later than the July 21st Club meeting. Cancellations will be accepted up to two weeks prior to the Run, but no later than August 11th. If you do not cancel your RSVP prior to August 11th but do not make the Run, you will be responsible for the price of the meal and will receive no refund. 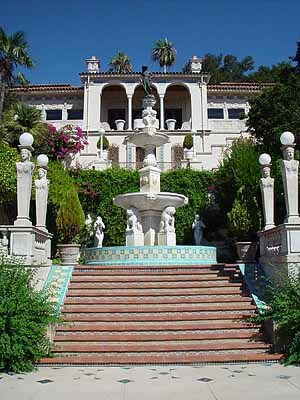 You simply do not want to miss this Run, and if you decide to spend the weekend in the area, nearby sites include Hearst Castle at San Simeon, Cambria home to art and antiques, Paso Robles and its many winerys, and Cayucos. Mark your calendar and RSVP ASAP by sending an email to mcm@midcalminis.org. Be sure to indicate the number of people that will be attending this great event and the meal number – #1 through #6 for each person participating in this great event. Why spend a hot weekend in August in Fresno when you can be relaxing in the cool ocean breezes? 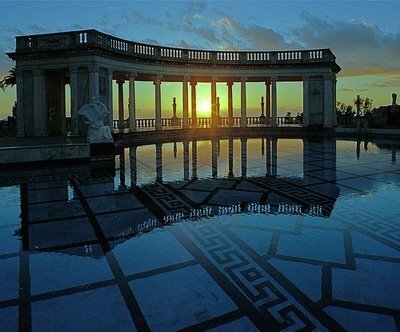 The evening garden tour at Heart Castle, watching the sun set over the Pacific Ocean amongst the columns of the Neptune pool is quite a treat. 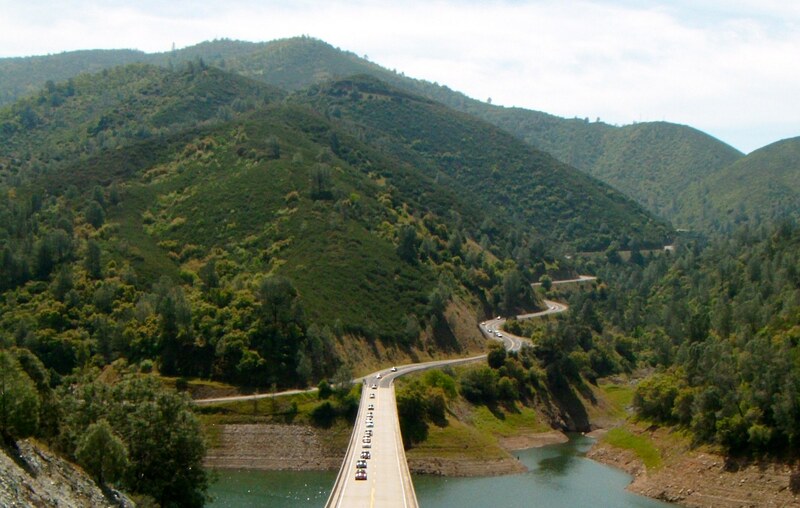 So treat yourself and join the MidCal MINIs as we head to the Central Coast of California. 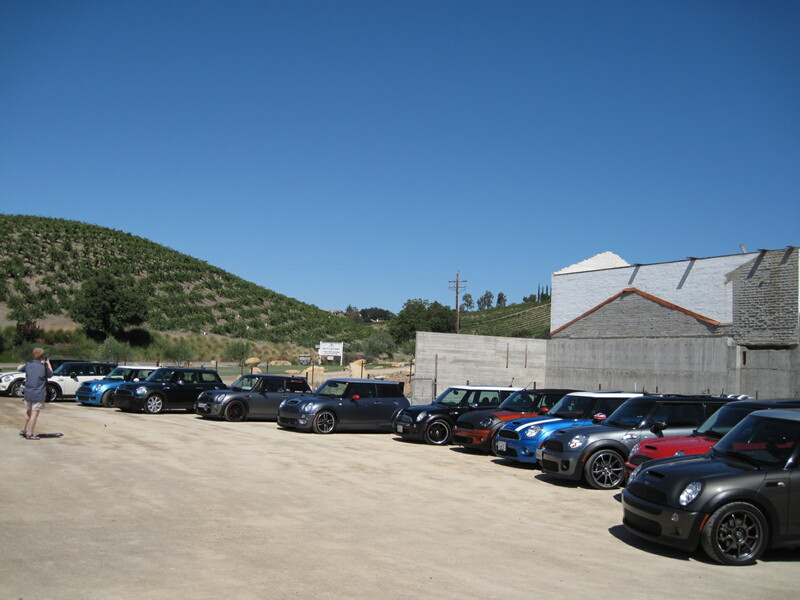 Last year, MidCal MINIs took one of its favorite runs to Morro Bay / Paso Robles and made it extra special. As usual, the group headed over to the coast to enjoy the twisties on Highway 46 as they made their way to Morro Bay. But rather than going all of the way to the coast to enjoy a great meal and then head back home, the group decided to spice it up a bit and enjoyed lunch and the afternoon at Rotta Winery. Rotta Winery, in Templeton California, is located west of Hwy 101 just south of Hwy 46, at 250 Winery Road. The winery, owned by Mike Guibbini, featured and included a Winery Tour, wine tasting and a catered box lunch for all participants. An added feature was a live band warming up for the evening wedding of Mike’s niece. 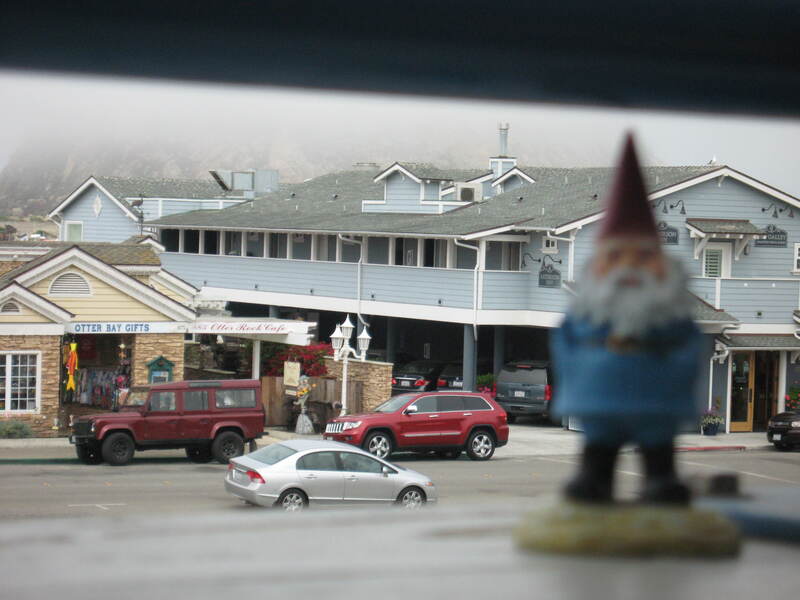 After a great afternoon, a few of the MINIs headed over to Morro Bay for the night and to take in some local color and events. Mark your calendar and RSVP ASAP by going to the Club Calendar tab and click on August 25th. Enter the number of people that will be attending this great event and the meal number – #1 through #6 in the comments box for each person participating in this great event. 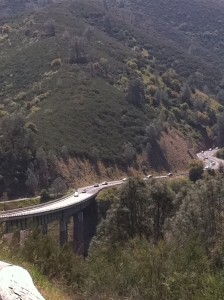 So treat yourself and join the MidCal MINIs as we head to the Central Coast of California. Watch for more details to come! 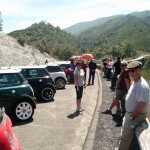 April 28th 2012 is the scheduled date for one of MidCal MINIs favorite runs. 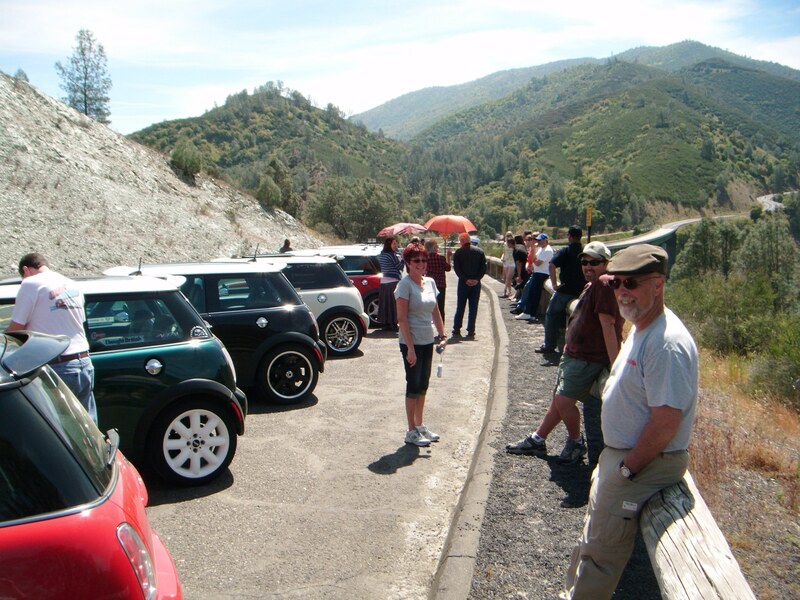 This fun trip to the Gold Country of California is the Annual Jamestown Run held by the MidCal MINIs Club. This year’s run, taking place in April as it did last year, avoids the heat of summer and provides many more opportunities for vistas of wild flowers. Currently it is anticipated that the run as usual will start from the Starbucks parking lot at Shaw and Highway 41 at 8:30 am with the first stop at Raley’s in Oakhurst to meet up with the mountain MINIs. Last year the group toured the old mining community of Columbia. 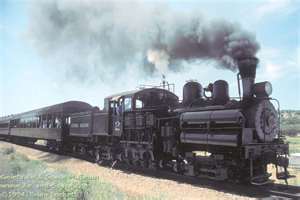 In prior years, the group took a scenic ride on the Jamestown Steam Engine. A walk down Main Street in Historic Jamestown is a step back in time. A few blocks east of the historic downtown area is the State park Railtown. This park has preserved much of the Sierra Railway, built in 1897 to link the very isolated areas, at that time, to Oakdale and the rest of the rail network. 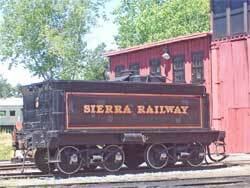 The line carried lumber from sawmills in Tuolumne City and Standard to the outside world. It also carried quartz ore to processing plants in the Bay Area where the gold was then extracted. Columbia was only one of hundreds of settlements that sprang up during the exciting years when the cry of “Gold!” brought miners from all over the world. 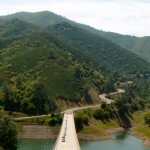 Columbia is located in the heart of the Mother Lode. Unlike many of these settlements, which have long since succumbed to fire, vandalism, and the elements, Columbia has never been completely deserted. Through the years it has retained much the same appearance as when miners thronged its streets. Recognizing an opportunity to preserve a typical Gold Rush town as an example of one of the most colorful eras in American history, the State legislature in 1945 created Columbia State Historic Park. Saturday October 8, 2011, the MidCal MINIs embarked on their annual run to the Whoa Nellie Deli via Yosemite and the Tioga Pass. The Fresno contingent met at Starbuck’s at Shaw just east of 41 at 7 am. Just past 7:30 am the group left to caravan to the meeting location in Oakhurst to rendezvous at about 8:00-8:15. 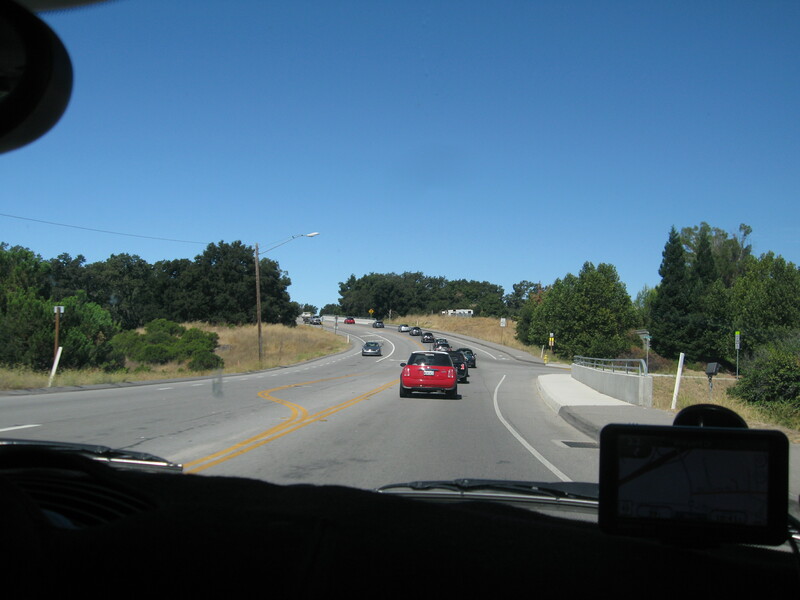 The Oakhurst meeting location was the Raley’s Parking lot on the corner of HWY 41 & HWY 49. 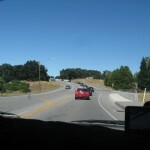 After a brief pit stop, the expanding caravan headed back onto 41 and on to and through Yosemite National Park. Upon entering the park and paying the $20 entry fee it was on to Tuolumne Meadows and over Tioga Pass and into the town of Lee Vining and the Famous “Whoa Nellie Deli”! The Whoa Nellie Deli is located in a Mobil gas station on a hilltop just west of the intersection of U.S. Route 395 and California State Route 120, one mile south of the business district of the small town of Lee Vining, California. Geographically, this location is where the eastern edge of the Sierra Nevada meets the western edge of the Great Basin. Mount Dana and other High Sierra peaks are visible to the west. 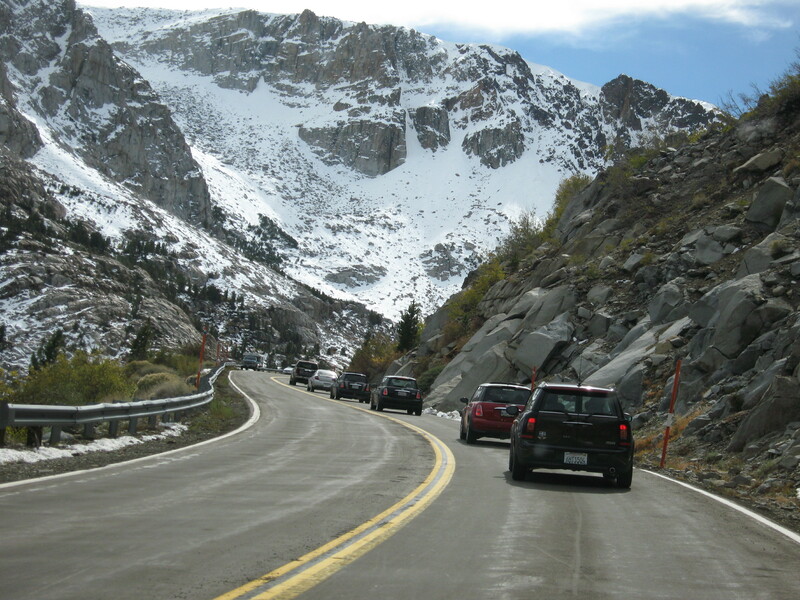 The eastern entrance of Yosemite National Park, located at Tioga Pass, is 12 miles to the west. Mono Lake, a uniquely salty and mineral saturated body of water, is visible from the restaurant to the northeast. The gas station also offers a gift shop, a small grocery store, and picnic facilities. Live musical performances are featured about 30 times each year from late spring to early autumn, usually on Thursday and Sunday evenings. The restaurant is closed in the winter. Trapeze lessons were once offered, but liability insurance considerations led to the cancellation of this service. 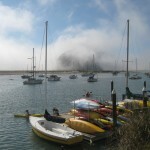 One of the favorite runs enjoyed by the MidCal MINIs is the Morro Bay / Paso Robles Run. 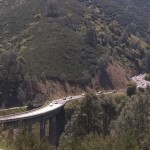 In years past, the group would head over to the coast and enjoy the twisties on Highway 46 as they made their way to Morro Bay. Once on the coast the group would enjoy a great meal and then head back home, once again taking advantage of the twisties. 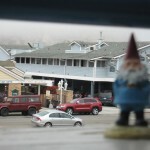 Some of the MINIs would make a long weekend out of the run and spend the night in Morro Bay or other surrounding communities. This year, on August 27, 2 011, the group decided to spice it up at bit and rather than heading straight to Morro Bay, a very enjoyable lunch and afternoon was spent at Rotta Winery. 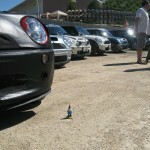 Upon arriving at the winery the MINIs were greeted by host and winery owner Mike Guibbini. 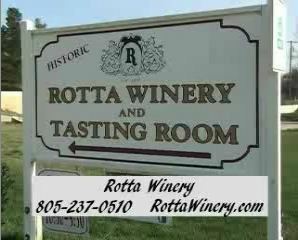 Rotta Winery, in Templeton California is located west of Hwy 101, just south of Hwy 46, at 250 Winery Road. Features of the trip included: a Winery Tour, free wine tasting (all fees waived for MCM folks), 10% discount on all wine purchases, and a catered box lunch for all participants ($10.00 per lunch, which was wonderful by the way). An added feature was a live band warming up for the evening wedding of Mike’s niece at the winery. After a great afternoon, a few of the MINIs headed over to Morro Bay for the night and took in some local sites and events as well. The original vineyard and winery were started in 1856 by a Frenchman named Adolph Siot, who later sold the successful winery to Joe Rotta in 1908. In the 1920s, Rotta then sold it to his brother Clement Rotta, who bonded the winery after Prohibition in the 1930s and forged the name “Rotta”. Today, the Rotta label and winery are being revived by one of their grandsons, Michael Giubbini, who remembers long, happy days of working in the vineyard as a child when he visited his grandparents from his home in Menlo Park. 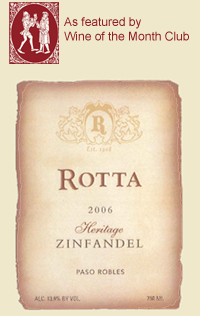 The 20-acre Rotta estate vineyard has 15 acres in Zinfandel and five in Cabernet Sauvignon. In reviving the Rotta Winery label, Mike is also re-establishing a link with history by working with winemaker Steve Pesenti, whose grandparents and parents were neighbors of Giubbini’s. For now the Rotta label is focusing on red wines such as Cabernet Sauvignon, Zinfandel, Merlot, and Black Monukka– a dessert wine, Zinfandel Port, but white wines will also be appearing on the list as well. All of the fruit for the label will be sourced from local vineyards, especially those from the Westside. Both Mike and Steve are strong believers in the potential of the Paso Robles area, and particularly the Templeton region where their ancestors farmed. 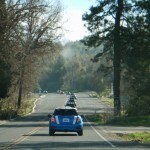 A fun run to the Gold Country of California is the annual Jamestown Run held by MidCal MINIs. This year’s run took place on April 17, 2011 a bit earlier than last year due to the horrible heat of 2010 that just about did the MidCal group in. While the cars ran great in the heat, the same cannot be said about the MINI Motorers! The trip as usual, started out from the Starbucks parking lot at Shaw and Highway 41 at 8:30 am with the first stop at Raley’s in Oakhurst to meet up with the mountain MINIs. Some years the group takes a scenic ride on the Jamestown Steam Engine but this year the vote was to visit the old mining community of Columbia. A walk down Main Street in Historic Jamestown is a step back in time. You’ll see a mixture of buildings from different eras. Wooden buildings dating from the dwindling days of the Gold Rush to stone buildings with iron shutters from the same period which were designed to withstand the fires that were common at that time. 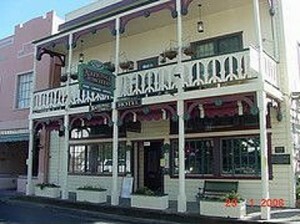 A common sight is wooden buildings in the Victorian style from the turn of 20th century. A few blocks east of the historic downtown area is the State park Railtown. This park has preserved much of the Sierra Railway, built in 1897 to link the very isolated areas, at that time, to Oakdale and the rest of the rail network. The line carried lumber from sawmills in Tuolumne City and Standard to the outside world. It also carried quartz ore to processing plants in the Bay Area where the gold was then extracted. Columbia was only one of hundreds of settlements that sprang up during the exciting years when the cry of “Gold!” brought Argonauts from all over the world to seek their fortunes in California. Located in the heart of the Mother Lode, a mile wide network of gold bearing quartz mines extend 120 miles along the western edge of the Sierra Nevada, from Mariposa northward to Georgetown. Columbia mines yielded $87 million in gold at 1860’s prices. Columbia and Jamestown have made names for themselves in more modern times as movie destinations. For several years Columbia and Jamestown, as well as other nearby communities, were used as on-site locations for the television series “Little House on the Prairie”. Movies such as Shadow Riders with Tom Selleck and Sam Elliot, and Pale Rider with Clint Eastwood also took advantage of the local flavor and homage to the past. High Noon a classic movie filmed in 1952, the Lone Ranger TV series and the Hop-Along Cassidy series (for those old enough to remember) were filmed here as well. 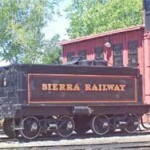 Petticoat Junction an oldie but goodie TV series used the Sierra Railway train and water tank in their opening scene. 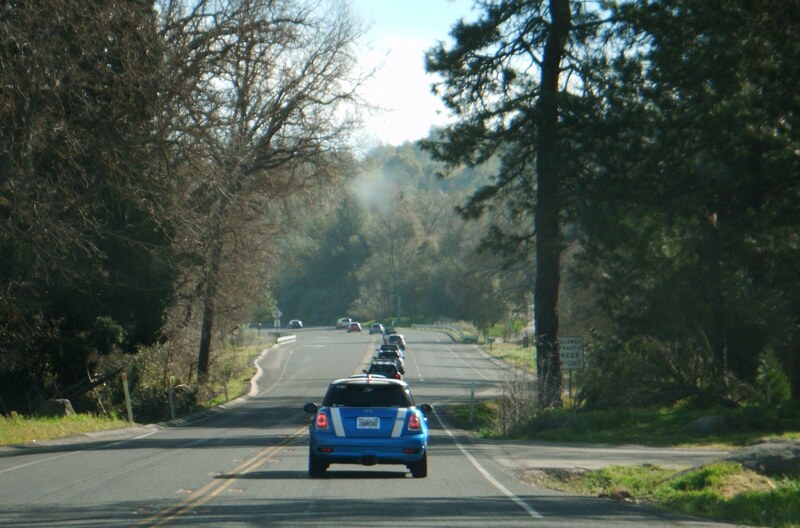 Speaking of scenes, there is nothing like the view of a group of MINIs having fun on the open road.